Prime 'n Pull™ E-Z Starting System: Push the primer bulb three times and go. E Series Muffler Options: Lo-Tone™ Engine Muffler available on 450e, 500e, 550e Series models for a quieter cut and Super Lo-Tone™ Engine Muffler available on 500e and 550e Series models for an even quieter lawn mowing experience. 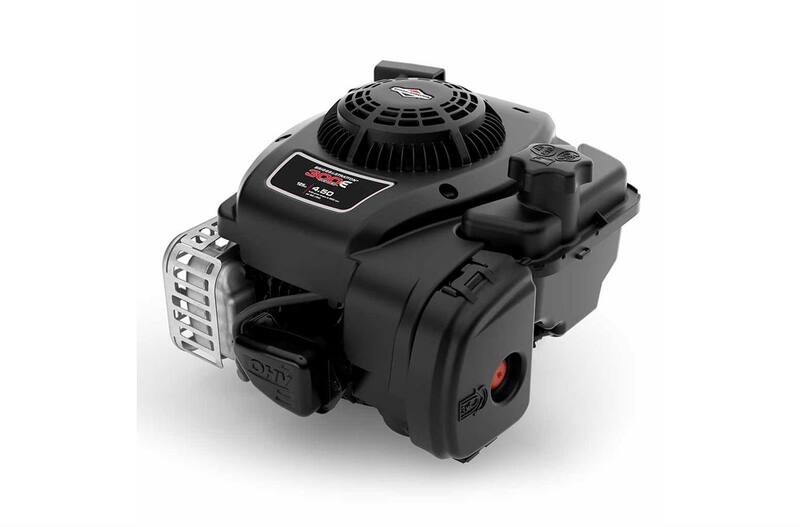 E Series Air Cleaner Options: Oil-Foam Air Cleaner available on 450e, 500e, 550e Series models to help keep the engine clean and Dual-Sealing Paper Element available on 500e and 550e Series models to protect the engine from dirt and debris. Tool-less Air Cleaner Cover: Easy access for filter changes. 2.36 in. x 1.75 in.